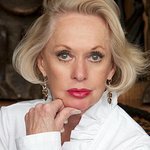 Actress Tippi Hedren is offering fans the opportunity to overnight in a safari tent with her. For a $3,000 donation, adventurer’s can spend the night sleeping out with big cats at her Shambala Preserve. Aside from getting to spend time with Hedren, guests receive a gourmet dinner and a safari around the park.